The Historic York Inn / Smyser-Bair House Bed & Breakfast is notable for its ornate details. 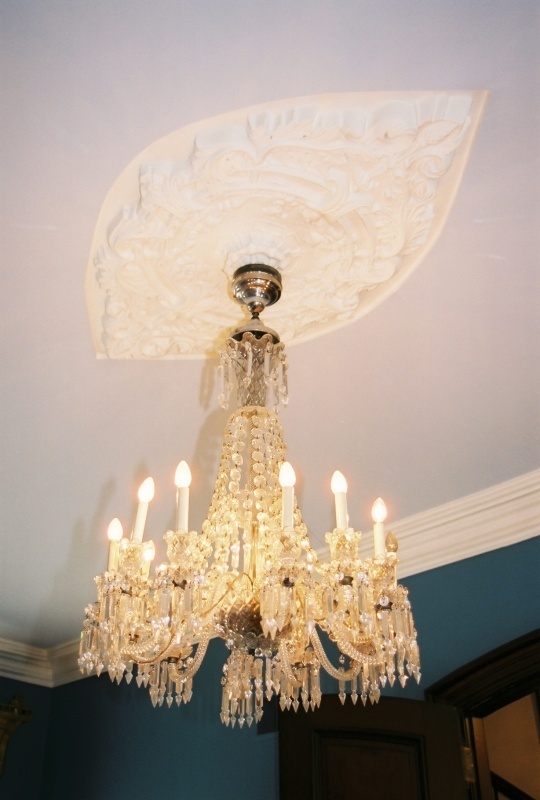 The crown molding and medallions on the ceilings are all hand-crafted plaster. 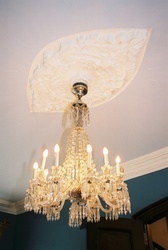 The crystal chandelier in the Parlor is original from the 1830s and was, at the time, a candle holder. 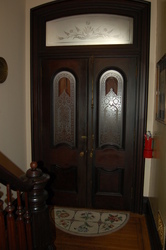 It was updated with electric, but retains the old-style look. 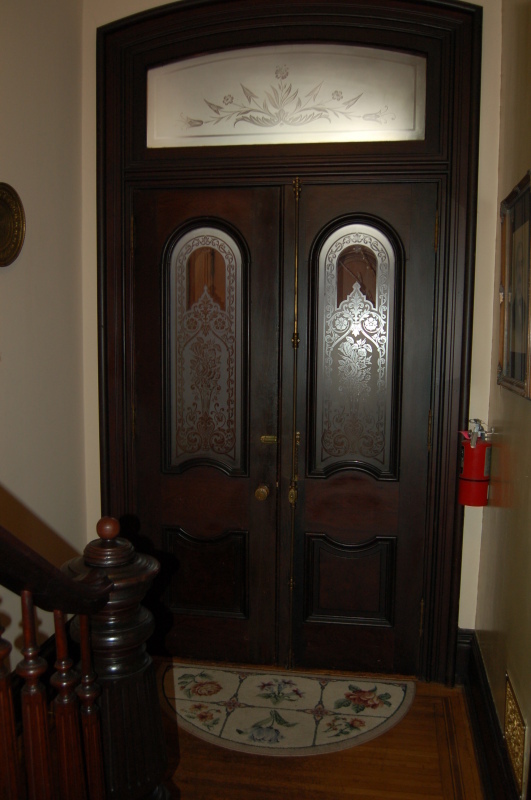 The heavy, hard-wood doors include knobs and hinges with intricate carvings and details in brass and black. 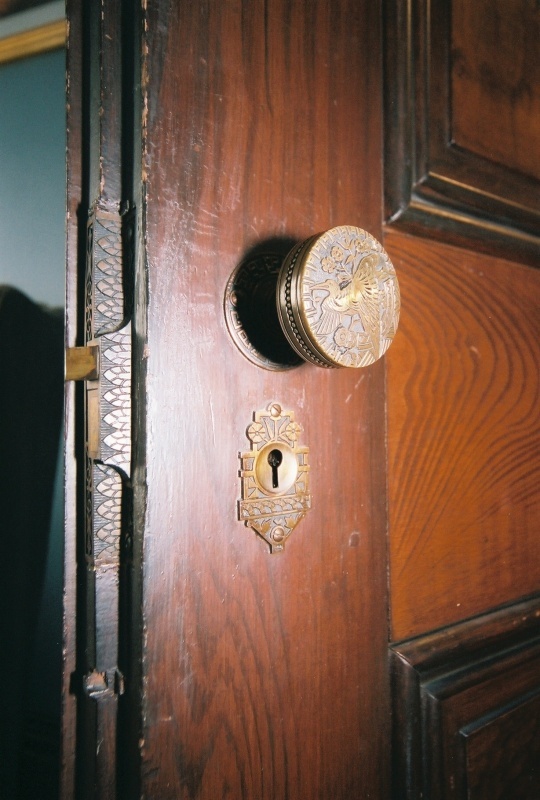 The gilded Pier Mirrors are one-of a kind, not another set like them in the world with their gold leaf over hand-carved wood, mirrors, drape covers, and plant stands in one. 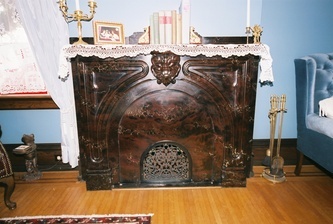 Five stunning, marble mantles fill out the house. 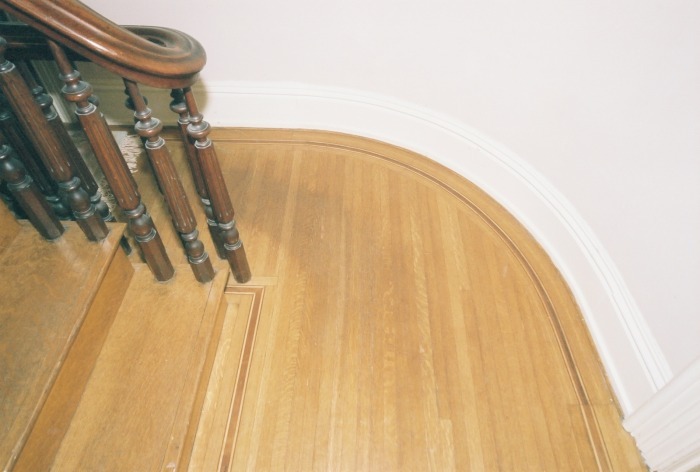 In the hallways and in the rooms, the inlaid floors are a marvel as the walls curve and the inlaid wood designs curve with them. The hand carvings on the banister and trimming the staircase are handsome, and the heavy walnut banister runs all the way to the fourth floor. The runner on the staircase is made on a 17th century loom using the materials and techniques of the time, and the handiwork shows. 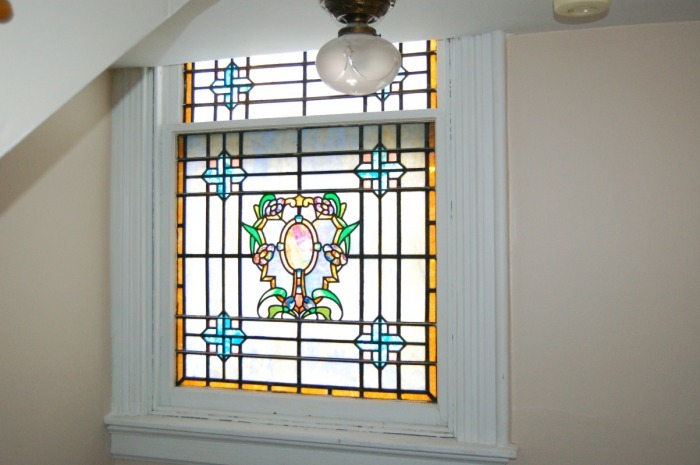 The etched glass is second only to the beautiful stained glass windows, depicting family crests. 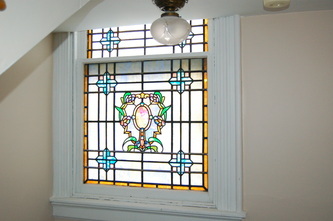 The stained glass window in the stairway catches the sunset and transforms in the afternoon, a sight not to be missed. 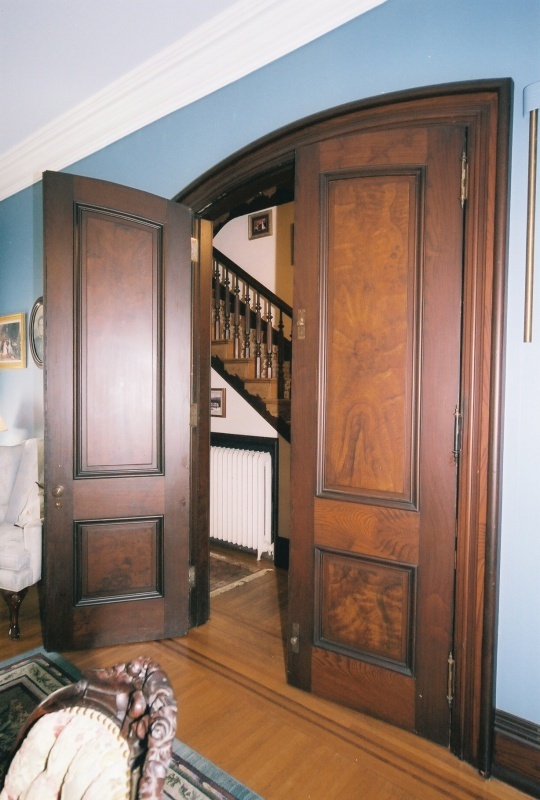 Outside, the tall, red brick home is decorated with beautifully-carved doors, old-style wooden shutters, ornate wood carvings on the trim, and handsome, cast-iron adornments above each window and door. These unique window and door crowns were cast at the nearby Smyser foundry — another historic location in York. 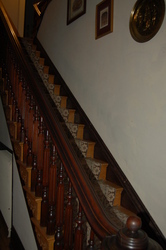 In 2010, we’re still discovering details such as notes and signatures written on the walls in past centuries. 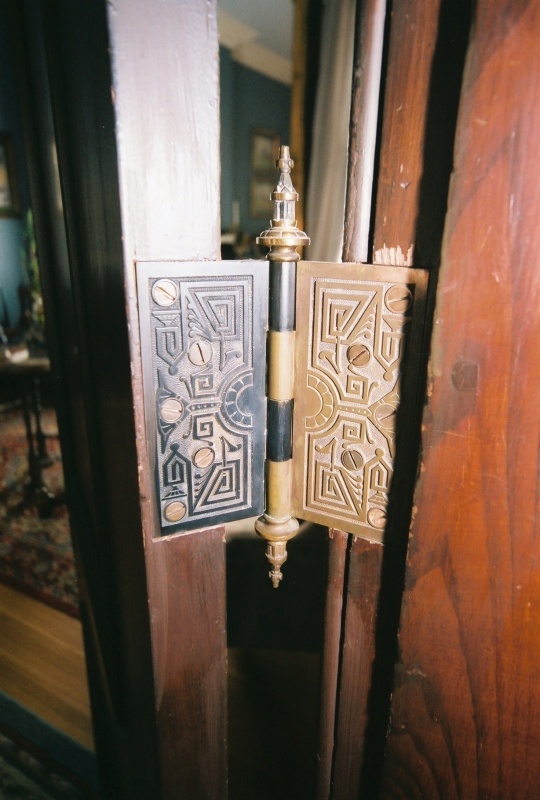 During your visit to The Historic York Inn / Smyser-Bair House Bed & Breakfast, look around for these and other details. 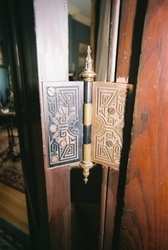 The historic home is full of delights and surprises. What will you discover? Find out by making your reservation today. Just email us at YorkInn@gmail.com, give us a call at 717-814-9INN (that’s 717-814-9466), or visit our Reservations page.